"excellent software to navigate anonymously on the web"
has several locations in all continents and major countries of the world, it is very easy to use, after installing only the country is chosen and then the location, the software recommends the direction from best to worst depending on the speed. is an excellent vpn program that allows us to surf safely, anonymously and without blockages on all web pages, ideal if you want to keep your privacy and data safe. with ExpressVPN I can access different websites that are blocked in my country due to the current policies of our government. It is a little more anonymous my connection and I protect my data from potential marketers who want to do retargeting with my personal searches. I liked its quality of service and its good servers variety of country that offers and the best prices in my opinion is the best that the other VPN that exist I also liked that you have the option of having a free trial of 7 or 30 days. It's one of the VPNs I've tried. What I did not like was its application I do not see it very modern a little old style if I remember correctly it is almost the same as its first version. I recommend it for the varied prices it has and for its good speed of connection to the different countries it has. So far I have not had any problems with the company and it benefits me in their prices. I love the privacy that a VPN Client gives you. There are so many people out there looking to use any data attached to you for illegal activity. I have been the victim of identity theft in the past. It is a violation of everything you stand for. It ruins your ability to get many of the things that in today's society rely on a credit score one that can be impacted by the smallest of things. I would highly recommend using a vpn to protect what you do digitally. you never know when someone is looking to stealr your connection. It protects the information that i work on while in the comfort of my own home. It also helps keep my family safe when using the internet. I dislike that when it disconnects and attempts to reconnect you don't really get a notification. Unless you're looking at the current screen you may not know that your VPN is down, and that could be a huge security issue. Look at the price, evaluate your own personal needs, decided if it's best for you. Protection from both hackers and piracy tactics that may co-opt any IP addresses in the area. This prevents fraudulent claims from copyright holders. Express VPN creates safety on the internet . It works in China or anywhere else that I have been in the world. It is nice to have that extra safet net when out and about grabbing a bit of lunch with a friend or business associate in town or where ever I go. Sometimes a VPN slows things down, but this is as expected. All VPNs do. It is a small price to have Facebook and see the grandchildren in China and to have safe connections when I need to discuss confidential matters.. If you are going to China, this one is great. It allows you to access the business needs and Facebook wants you need and want in China. Also allows you to keep your financial business private. I am a humanitarian missionary working on in a small Pacific nation known for natural disasters. We often have to transmit confidential information. It is an exciting retirement volunteer job. When I need to send and receive confidential information a VPN is just the ticket. I retired last year where I was a university professor in China and Express VPN has worked best for me there. I have tried others but it appears only Express VPN is steady on the job. One of my young (non-Chinese) friends told me about it. Note this is the best picture I could get, but I did take a fun picture of me on my iPad working doing my work on the beautiful island I work on. "Great VPN that works well in China"
"it covers everything you want"
it's super easy to use and install with a variety of countries to choose for your connection. the installation process is very easy and you don't have to set any settings. I think sometimes there is a problem in the updates, while ago I found this message saying new update click to update and when I updated the app it became not responding, then when I double clicked on its icon to launch the app the app didn't work, simply with no response and nothing even on the task manager, then I uninstalled it and reinstalled it again with the older version, however, since then I haven't updated the app. "Easy to use and effective software to protect your identity"
ExpressVPN is as simple to use as anything on the market. It's large "power" button interface and it's automatic disconnect feature that cuts off your internet connection if the VPN loses connectivity make it simple for people with no networking or VPN experience previously. It effectively protects your IP address and identity at a time when that kind of private information is bought and sold through online companies for advertising and other purposes. It is also useful in viewing content that is regional specific or logging into work networks that require a local IP address as you can select what region you want to be in. It takes the complexity out of a relatively complex approach to online interactions. Even the simple included Speed Test is a nice touch for making sure your VPN is an optimal distance from your actual location. The only drawback is the price. There are other, cheaper options available if you know a little about VPN's already. However, I would add that this is still the most intuitive and practical interface available. So in my opinion it is worth a few extra dollars. When we interact with partners in other parts of the world it helps our connectivity to have an IP address that is coming from a similar region. "Needed In China for a Pinch"
The App was very easy to deploy on both my Macbook and my iPhone, so it's iOS compatible. It offers suggestions on recommend hosts to access based on your location, and constantly alerts me if the VPN or my connect goes down. I cannot fully confirm this, but I wished the reconnection was faster, or if an issue was found with a specific host, to roll to the next recommended host automatically; the user must manually select a new host to attempt for reconnections. If needing a VPN abroad, and your company has a strict download policy, confirm with them if they already have a VPN for use, or if VPN is an approved application. Getting around use of certain Cloud/URL applications while doing business in China. Our company email is actually hosted by Gmail, so that means data storage, calendars, . . . you name it, are all on Googles platform, and almost everything within China for Google is blocked. Without this I would have not be able to do international business. "Super Fast, Secure and No Leaks! " There's a few bugs in the PC app that I've come across. I like that the product secures my data. I feel comfortable knowing that I can avoid hacks. The only thing that I have found that I don't like is how the product logs out when I close my computer. It does however put a lock on the access when it is logs off. The problem is that it takes longer than I want to log back in. This product works great. It is easy to use. The cost is cheap enough for our small non-profit. I like the best and simplified user interface and speed of operating of application. Sometimes says your plan has expired but after login again it works perfectly. If you want the best vpn among all vpns just got for this. it is less expensive than other and user interface is good. I have used it for learning and exploring new things related to my interest. the best thing is if you buy the program you can choose from which country you can access. also the internet connection through express vpn is so fast you almost lose no speed. they should work more on the updates, once I updated the program and then it stopped working for no reason which forced me to install old version of the program in order to make it work again. get access the the forbidden websites where I live such wikipedia. Express VPN is one of the fastest available VPNs, offering as many as 2000 cheeses, which are located in 94 different countries, has a Kill-switcha. But that's not all because it supports SSTP, L2Tp/IPsec, and PPTP protocols and 256-bit encryption. It is worth adding that 24/7 customer support is available. The only disadvantage is the possibility to use 3 devices under one license. By buying a package for a year we save money. Thanks to ExpressVPN I can safely use the Internet anywhere and have access to content blocked by IPS. "VPN solution that works well and has very few hiccups in practice." Good array of select-able servers for routing traffic and negligible hit on data speed. Also, the fact that there is little to no tracking going on, really helps with the privacy aspect. Every once in a while, the software needs to be restarted or in extreme cases reinstalled. Generally don't have these problems though. Definitely suggest checking it out, even compared to some of the competition. Multiple connections passed through VPN for anonymity using replacement router firmware. Secure connection to an outside server is the benefit, using this to test tools and protect customer information is a must. "Great app for Mac OS, iOS"
Streamlined UI with the "feeling" that it actually works to protect my data and identity. It would be nice if it would work while trying to stream video from Amazon Prime or Netflix. "Effective technology but poor renewal process"
Simple and apparently effective. Simple and apparently effective. 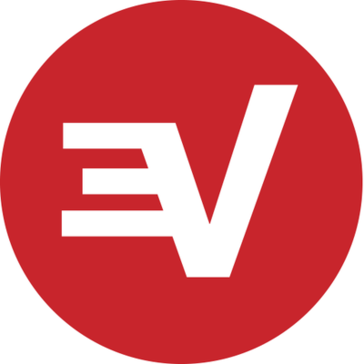 * We monitor all ExpressVPN reviews to prevent fraudulent reviews and keep review quality high. We do not post reviews by company employees or direct competitors. Validated reviews require the user to submit a screenshot of the product containing their user ID, in order to verify a user is an actual user of the product. Hi there! Are you looking to implement a solution like ExpressVPN?